Amy Williams, Britain's first solo Winter Olympics champion in more than 30 years, has signed sponsorship and management agency MTC UK to handle her media and commerical management. 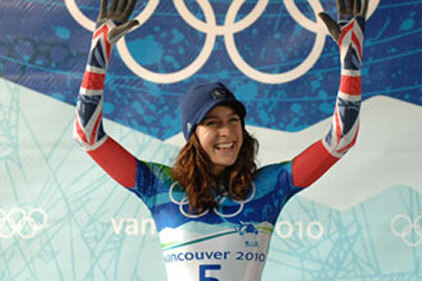 Williams won Britain’s only gold medal in the skeleton bobsleigh event at the Vancouver Winter Olympics last month. She has already appeared on the Jonathan Ross show, and has done a series of media interviews since returning home. But MTC has been hired to ensure her profile remains high. It will do that through media opportunities and looking for partnerships with corporates or individuals. The agency wants to make sure Williams has a sustainable strategy in place. ‘We know that every professional athlete is their own brand and when aligned with the right opportunities commercially and in the media, can have a career that lasts long beyond their sporting life,’ said agency MD Jonathan Marks. ‘We have already had a great deal of interest in Amy and know that with her unique personality and talent, girl-next-door appeal and fantastic story, she has a long-lasting career ahead of her,’ he said. The agency’s other medallists include James Cracknell, Bradley Wiggins and Phillips Idowu.